Alanda September 27, 2017 Leave a Comment This post may contain affiliate links. 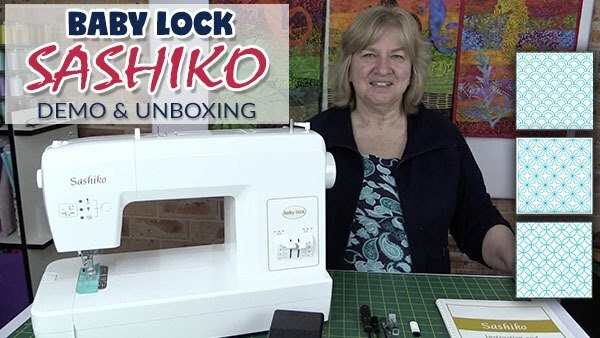 We have a new sewing machine in the studio and it’s the Baby Lock Sashiko machine. 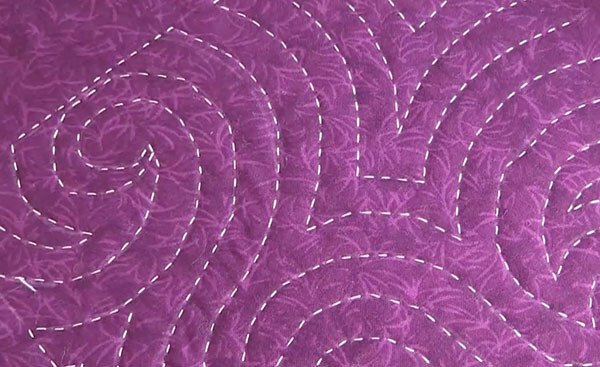 This is a specialty machine as it only stitches one stitch…but oh what a wonderful stitch! The stitch it produces looks like it has been hand stitched so you can get some beautiful results using just this one stitch. 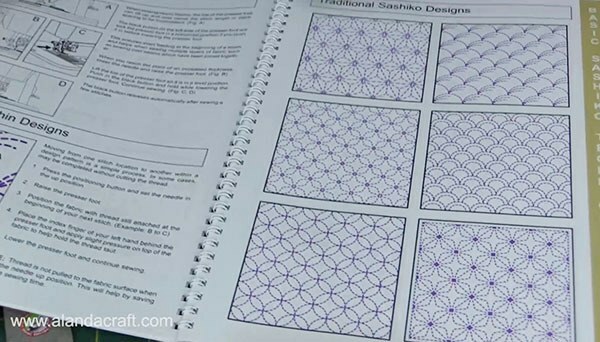 The Sashiko style of stitch originated in Japan and was traditionally used as what you might call a functional stitch. So it was used originally to repair fabric. The more traditional Sashiko creations that you might see at craft fairs and the like are done on indigo blue, red or brown coloured fabrics but these days with all of these lovely colours we have at our fingertips, personally it’s a bit limiting for me to stick with just just a few colours. 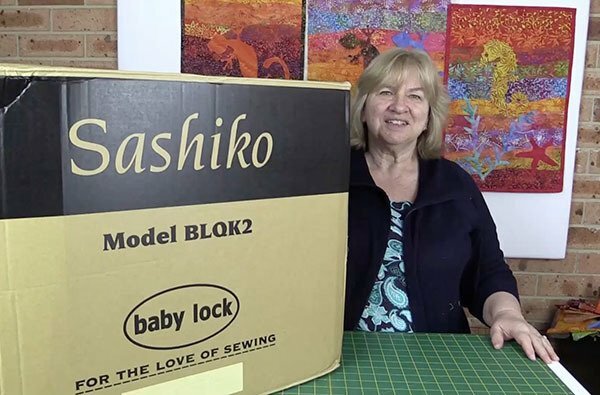 The BabyLock Sashiko is perfect for quilting. It looks gorgeous on a baby quilt but you can work it in to any sized quilt. It makes the perfect decorative stitch on clothing, table runners, bags, cushions…the skies the limit really. 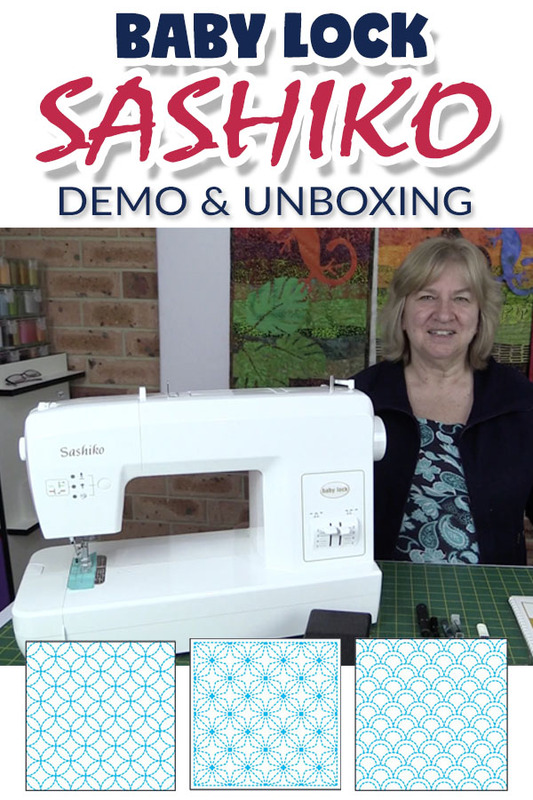 The Sashiko machine doesn’t use a top thread – it works solely from the bobbin. BUT, this isn’t simply a matter of popping in the bobbin like you would on a regular machine. 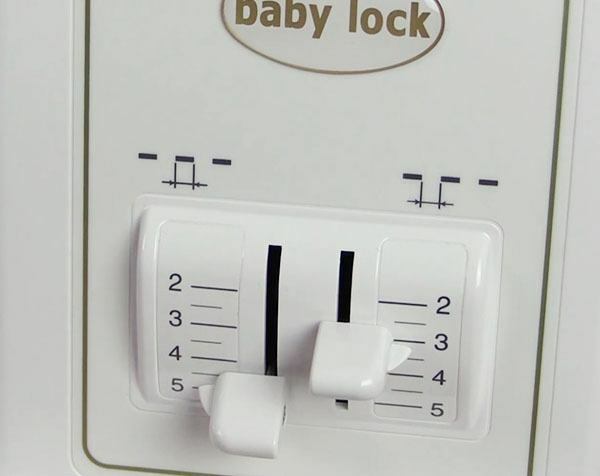 It can be a bit finicky until you get the hang of it. Even as we were creating the video unboxing and demo, we had to refer to the manual multiple times to figure out how to get the bobbin thread up, but we got there in the end. It really is just a matter of practicing a few times until you get the hang of it. 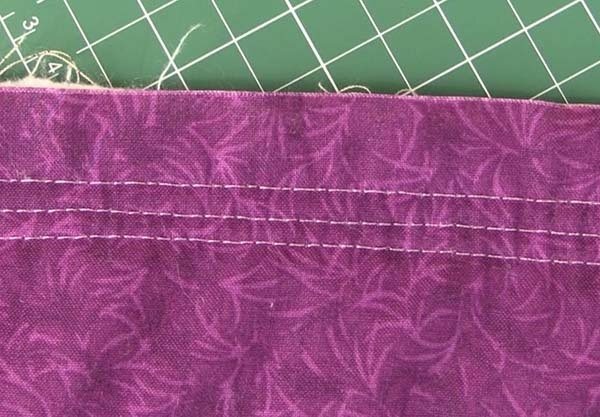 The Baby Lock Sashiko is limited to one stitch but you do have the option of changing up the stitch by using the levers on the front of the machine. 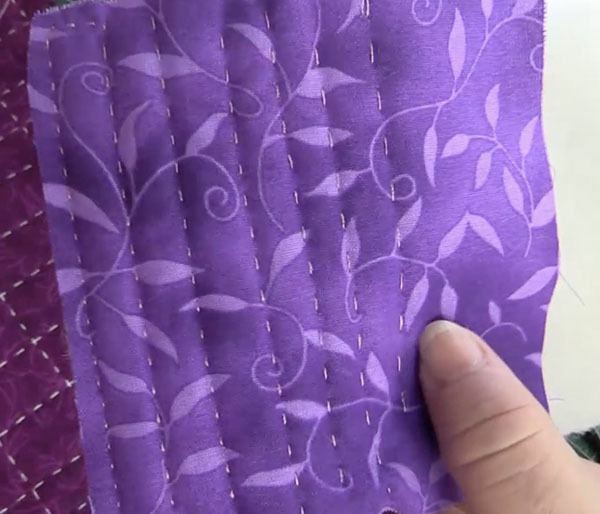 You can lengthen or shorten the stitch and you can lengthen or shorten the space between those stitches. Important Note: One thing you must remember is to make sure that you don’t sew off the fabric. This is written in the instruction book but I thought I should emphasise it here. 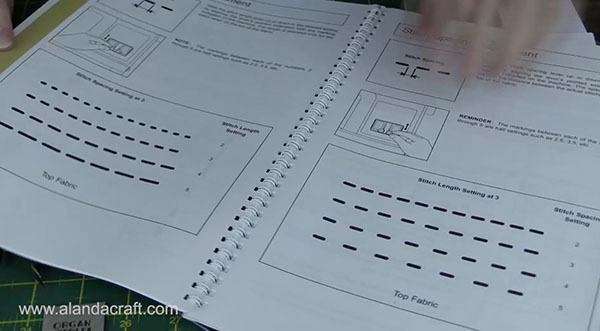 The image below shows what the stitch looks like from the back. Bear in mind, that we live in Australia and what we get in the box may vary slightly to what you might get if you are living in another country. Also watch the video below to see the unboxing and demo. Where Did We Get Our Baby Lock Sashiko? 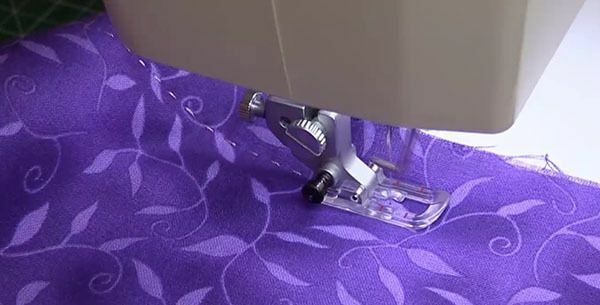 We purchased our Sashiko Machine from Echidna Sewing in Capalaba, Queensland, a great business to deal with. They do awesome deals and provide excellent after sales service. So don’t forget to check them out for a variety of sewing and embroidery machines and notions.